CITY OF LONDON CRIMINALS AT HSBC = GET AWAY WITH MASS MURDER + TERRORISM | Concise Politics -- Your Time should NOT be wasted. LONDON HSBC = Public Apology = SUPPORTING TERRORISTS + TAX-DODGING $TRILLIONS + FINANCING MASS BEDHEADINGS OF MEXICANS AND LATIN AMERICANS BY DRUG LORDS. HSBC CEO Gulliver = SAID scandal and Factual Revelations Exposed in newspapers was “a painful experience”. = POOR CRIMINAL WHO HEPLED MURDER 100s or even 1,000s of innocent people. = We are now “completely overhauled” so no one can catch us next time. HSBC = States that facts show Swiss operations was CRIMINAL. HSBC = Shows societies we know you expect more from us = We offer our sincerest apologies. = It will happen again. HSBC = Blames one former employee for stealing data = That is ALL that happened. = 140 names in the stolen data were well-known and most of the 140 people are no longer clients. HSBC = Since 2008, when whistleblower Herve Falciani leaked the data which sparked the affair, the bank had “fundamentally “changed” how it was run and the number of Swiss private bank accounts had been cut by nearly 70%. FACT: Actually more like 100,000 clients or more. Executives at HSBC = POOR THINGS were subjected to humiliating questions from US senators over its global laundered of $BILLIONS for Drug Lords and Cartels + KNOWN Terrorists + Pariah States. HSBC = Drug trafficking and Terrorist Financing = “Pervasively polluted” culture for almost a DECADE. HSBC = Report proves CRIMINALS IN THE BANK transported $Billions in cash in armoured vehicles, cleared suspicious travellers’ cheques worth $Billions, and Helped Mexican drug lords buy planes with DIRTY money laundered through Cayman Islands accounts. HSBC = Helped Saudi bank FUND al-Qaida + ISIS also. HSBC = CRIMES ARE SO MASSIVE it has been under investigation for nearly a decade = Faces $BILLION FINES LIKE JPM from US justice department = WHO NEVER PUTS ZIONIST CRIMINALS IN PRISON. HSBC = Was Forced to supply 1.4 Million documents in its review. HSBC = Says reforms has been put in place after the “HORRIFYING MESS” was cleaned up in Mexico. HSBC = Paul Thurston clear up HSBC’s Mexican banking MESS in 2007 = Said he was “horrified” by what he found. HSBC = INCOMPETENT MANAGEMENT ALLOWED MASSIVE CRIMINAL FRAUD. 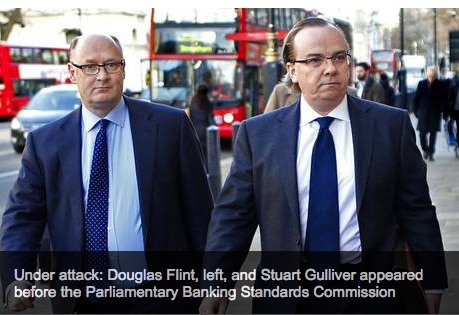 HSBC = MGT at the bank consistently ignored warnings in favor of LUCRATIVE CRIMES. HSBC = Mexican subsidiary = “rubber-stamping” FRAUD Risks = Laundered $7 Billion into US operations for drug traffickers. = 47,000 people had lost their lives since 2006 as a result of Mexican drug traffickers. HSBC = Executive in an exit interview made “allegations of 60% to 70% of laundered proceeds in Mexico” going through HSBC’s affiliate. HSBC = Cayman Islands SCAM set up by the Mexico division of HSBC = Handled 50,000 client accounts and $2.1 Billion in holdings = No staff or offices. = Used Cayman accounts to buy planes for Mexican drug traffickers. Loretta Lynch = Past cases in terrorism and financial fraud are coming back to bite her. Loretta Lynch = Record in prosecuting ‘terror’ cases appear to support the FBI’s use of entrapment and torturing of suspects to gain confessions and other self-incriminating ‘intel’, as was the case with Mahdi Hashi. Loretta Lynch = Played a role in validating some questionable information in a letter she wrote which has been used to frame the British-Somalian man and two others on trial in New York, as ‘chemical weapons experts’ who were ‘building a chemical weapons factory for al Qaeda’. This entry was posted in CITY OF LONDON CRIMINALS AT HSBC = GET AWAY WITH MASS MURDER and tagged CITY OF LONDON CRIMINALS AT HSBC = GET AWAY WITH MASS MURDER. Bookmark the permalink. ← EXTREMIST CHRISTIAN LOVE = ADOPTED ETHIOPIAN GIRL (13) STARVED + BEATEN AND ABUED + FROZEN TO DEATH IN CHRISTIAN EXTREMISTS BACK YARD IN NORTHWESTERN RURAL WASHINGTON STATE.